Do you want an exciting and rewarding new business career? Would you like to manage a home-based business, that offers greater job satisfaction and provides an excellent life work balance? Then… Why not become a business broker? 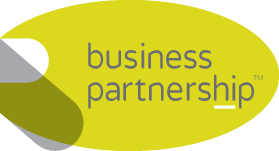 Business Partnership helps hundreds of business-owners every year to sell their businesses. Why not join our network of professional business brokers? As a regional partner, you will enjoy the benefits of being part of a mature organisation, which has been trading since 1979, and the support of like-minded professionals. Please use this form to send an email to Head Office. Your message will be sent directly to their inbox.